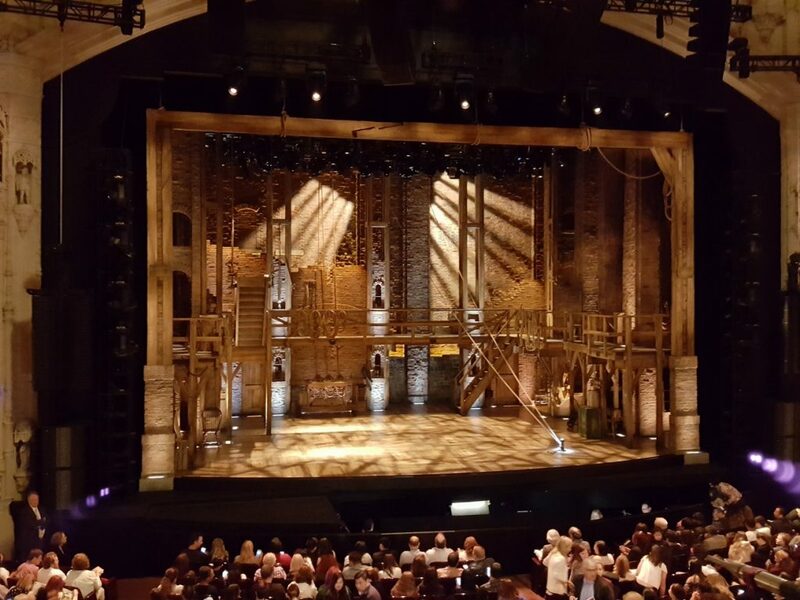 How Hamilton Turned a Middle-aged Mom into a Paparazzi, and Why You Should See It, Too! 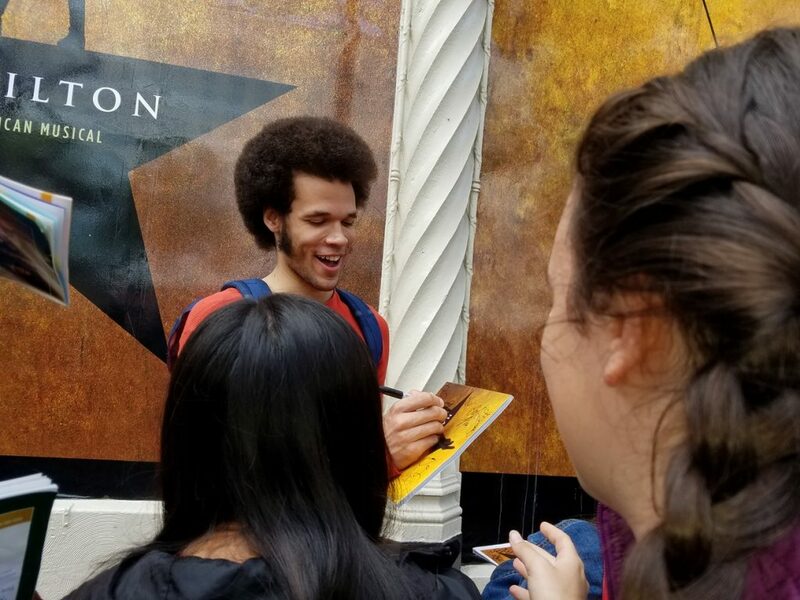 It’s been a year and a half since the Hamilton Craze swept over the land. Newspaper articles. Radio talk shows. Endless Facebook posts of friends posing with the famous murals. Meanwhile, here at home, the music has been playing non-stop over and over again, with my kids singing along, knowing every word. I tried to resist it as long as I could. I am not fond of crazes, for one, nor am I especially into rap or hip hop. Whenever the kids played the music, I asked them to turn it off (or to at least lower the volume). I also repeatedly rebuffed their many pleas to go watch the show. They were quite persistent, however, as stubborn kids can be. Once they got their father on board I knew my case was lost. 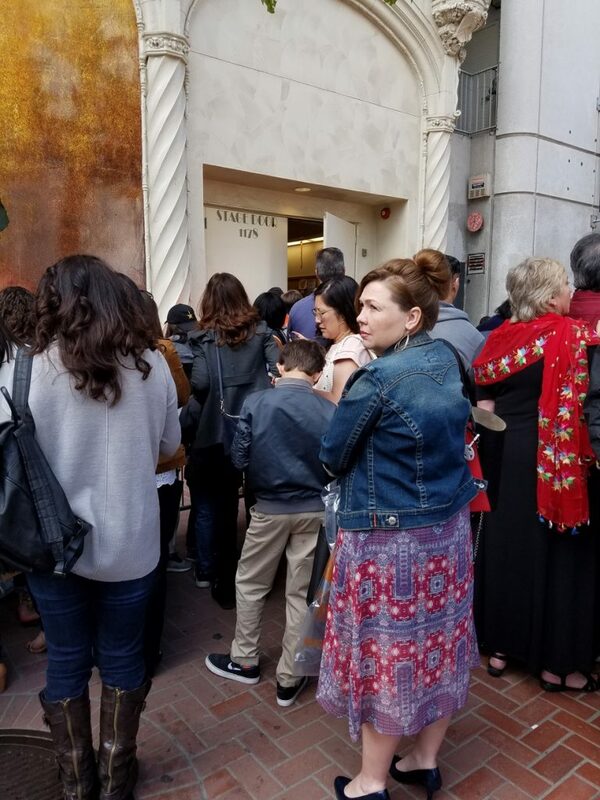 Thus it happened that, over loud protests, I was recently dragged to watch Hamilton at the Orpheum Theater in San Francisco. I passed on posing solo in front of the murals, though I didn’t mind snapping shots of my offsprings. I didn’t buy a souvenir shirt or a printed cup. In fact, I went into the theater feeling rather skeptical. Once inside, however, strange magic started spinning its web all around me. The audience’s anticipation was catching. Excitement was in the air, and it was physically tingling. The empty stage conveyed a secret promise. 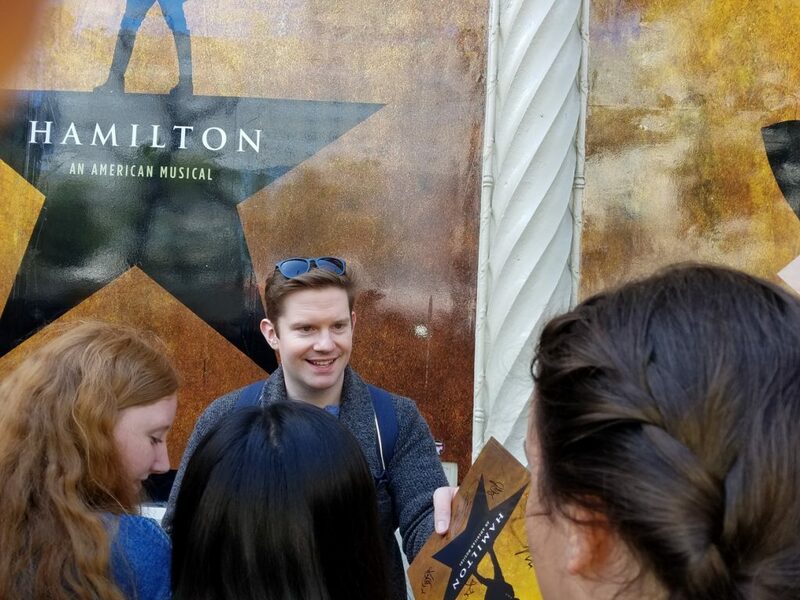 Even the playbill had more allure than it usually does. Finally the show began. 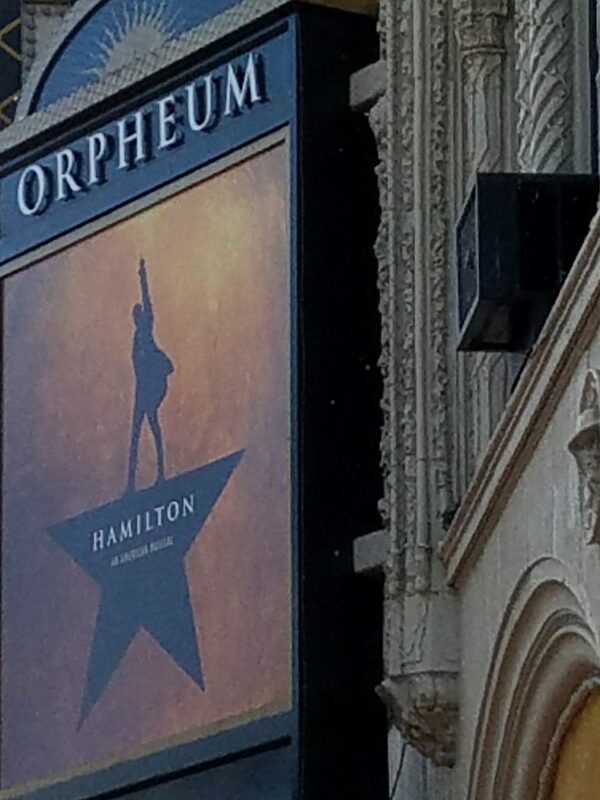 It immediately drew me in, even though I didn’t know the history, the story line, or the words to the songs. The high energy was captivating. The voices were mesmerizing. The story itself was interesting. For the first time ever, I also found myself admiring a show’s lighting. The lights in this show were as physical as the stage props or the actors. They were a live part of the play. 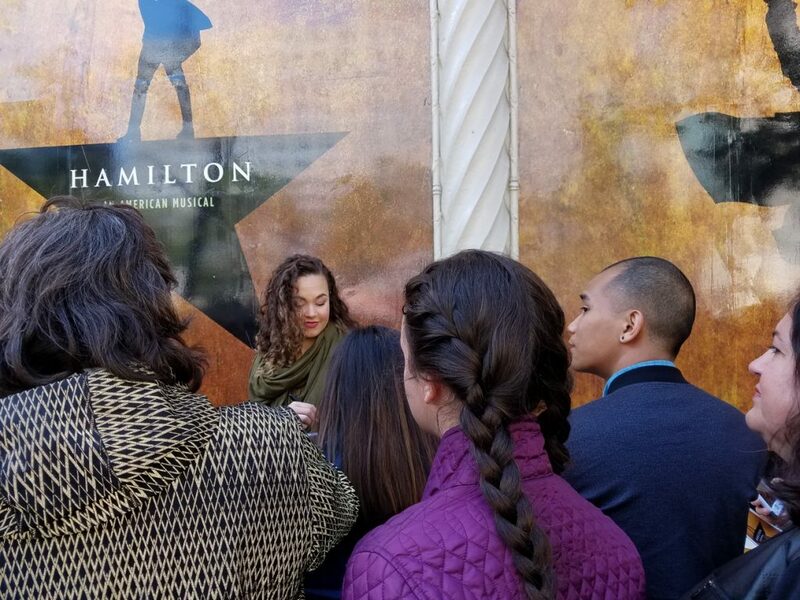 We exited the theater, and saw people gathered around the stage door outside, waiting for the actors to come out. My kids wanted to hang out as well. At this point, I was a lot more eager to surrender to their demands. So we waited. The crowds gasped every time the door opened. Then they exclaimed with disappointment when it was only a security guard or a member of the orchestra (I felt a bit sorry for members of the orchestra. They worked hard, too, I’m sure, but were hidden under the stage). The actors dripped out slowly. They were greeted with loud cheers. Suddenly, in a matter of seconds, this reluctant, middle-aged mom turned into a greedy paparazzi! All the actors were incredibly friendly and polite. 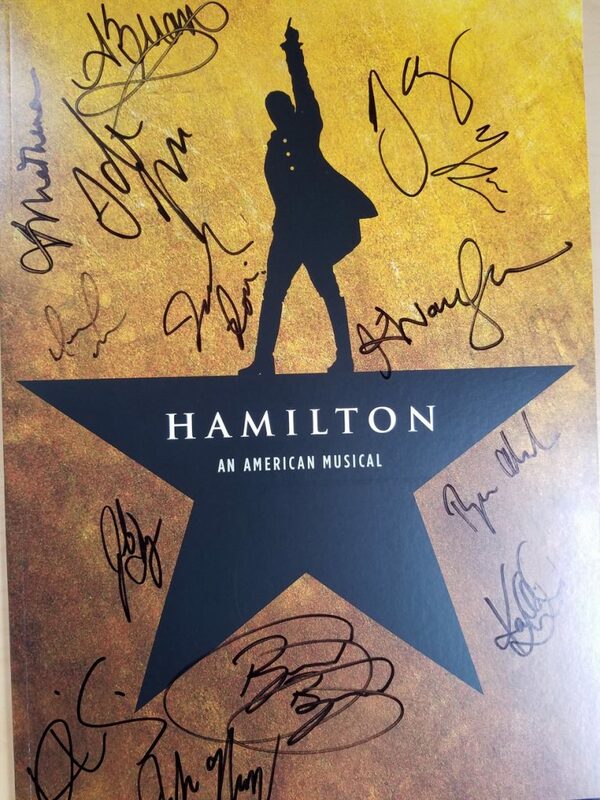 They gave so many autographs that their hands must have gotten sore, yet they didn’t complain. The actors let people take selfies with them, and joked with young and old alike. They made quite a lot of people happy that day. 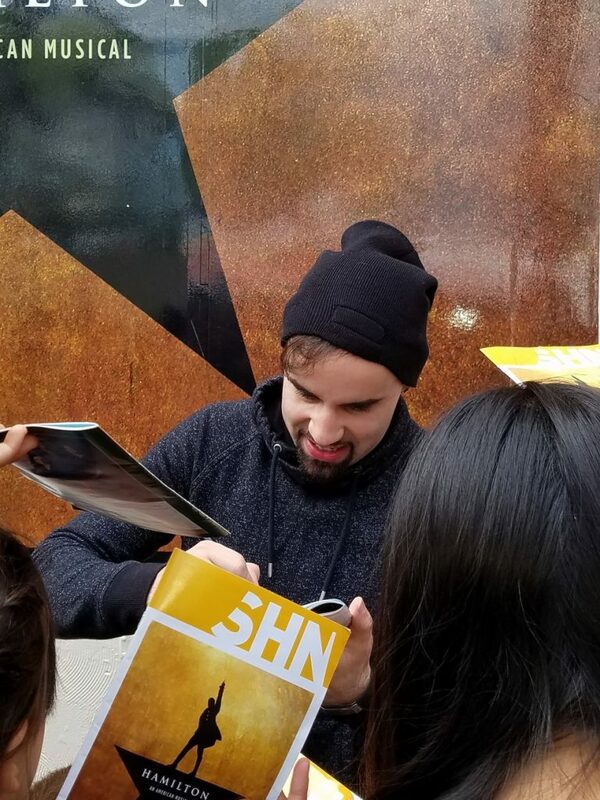 My daughter, for one, will cherish her signed souvenir book for years to come. People, if you haven’t seen this show yet, go see it! 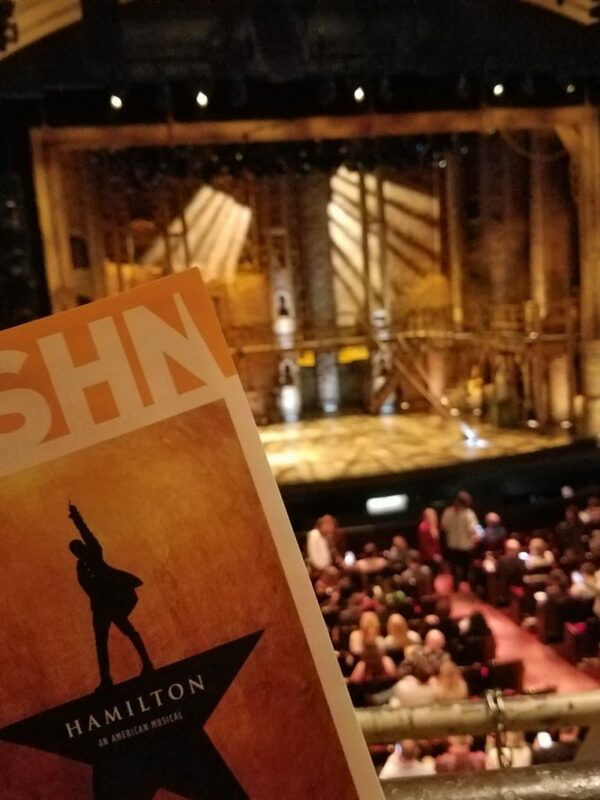 You don’t need to know American history to enjoy Hamilton, nor like rap or hip hop music. It’s truly amazing! This entry was posted in Traveling and tagged culture, life, Musicals, San Francisco, travel by ANY Texture. Bookmark the permalink.